I know I’m not the first in Vancouver to go on this hunt and I also know you may not agree with my opinion because what you believe makes a great pizza may be vastly different than mine. But since I went out and tried all these pizzas I thought this list may inspire you to go out and try some yourself. Just to preface, I was not in search of the BEST pizza in Vancouver but instead to seek out my FAVOURITE. 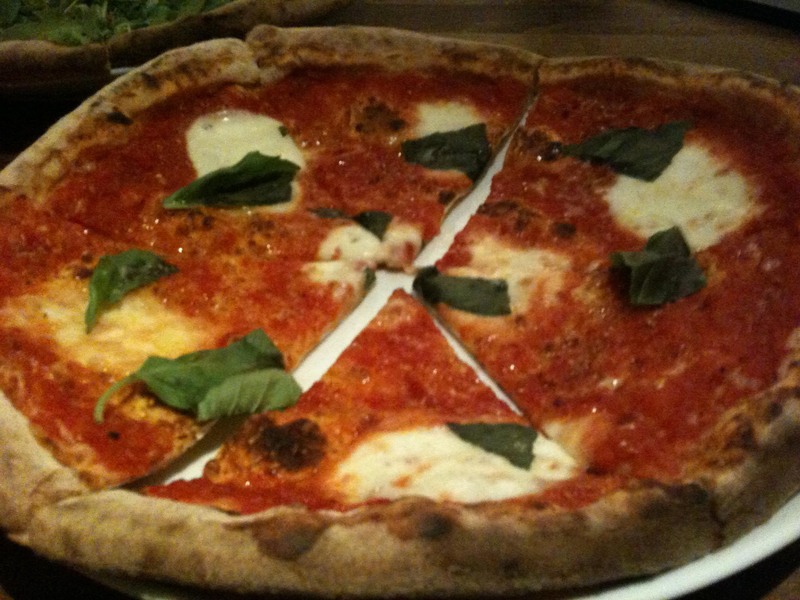 Like I mentioned in my previous post, every first visit starts with the standard Margherita. In many places, I tried other pizzas too. In some, I’ve re-visited only to find that my opinion had changed. I’ve been holding off on posting this because I wanted to try all of them before I declared my favourite, but with a new Napoletana-style pizzeria opening in Vancouver (what seems like) every few weeks, that just isn’t possible. The following were taken into consideration in my rankings: texture of crust, taste of dough, flavour of tomato sauce, quality of cheese, amount of cheese, essence of basil, flavour of olive oil, and finally seasoning, (salt). The following were not: price, claims of authenticity through designations or origins of cooks, authenticity of ingredients, (ie types of tomatoes/flour used) & service. So what you have below is my list from least to most favourite (so far). NOVO: I know I said I wasn’t rating on service, but it was so bad here. But although I didn’t let my negative feelings on the service affect my judgment on the pizza, it turns out this was my least favourite of the bunch. BIBO: Lively & busy, my impression was that the starters and pastas are better than the pizzas. 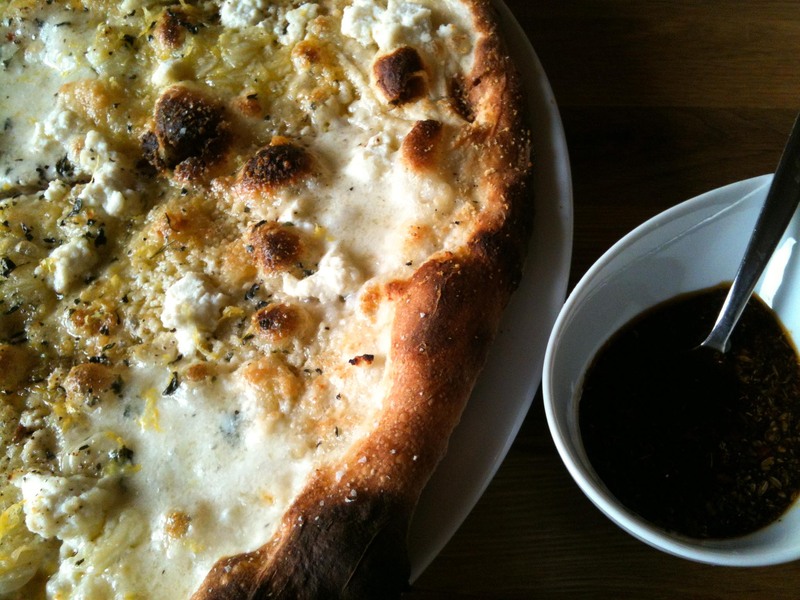 PIZZA FARINA: The unusual location, coupled with the fact that it doesn’t do lunch has hampered my ability to dine-in. 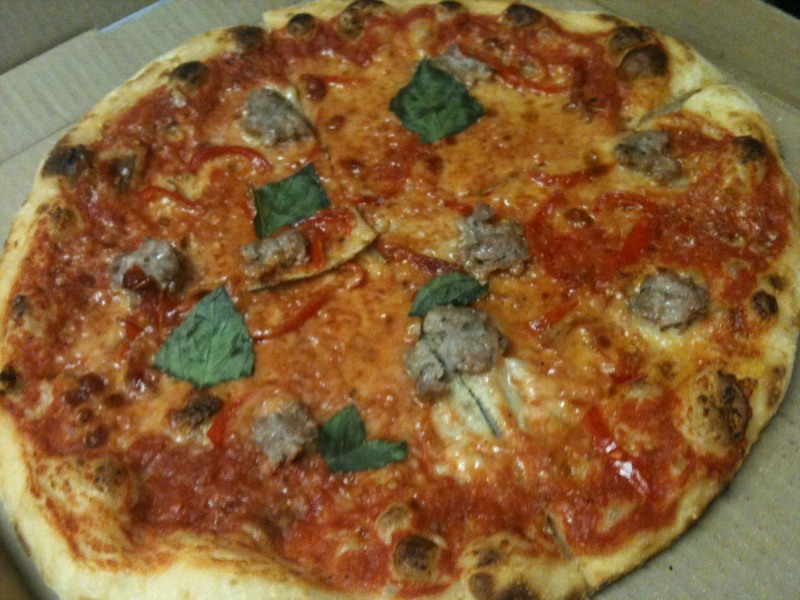 Finocchiona was better than the Margherita because the fennel-y sausage was great. I’d try to order this next time with extra sausage. 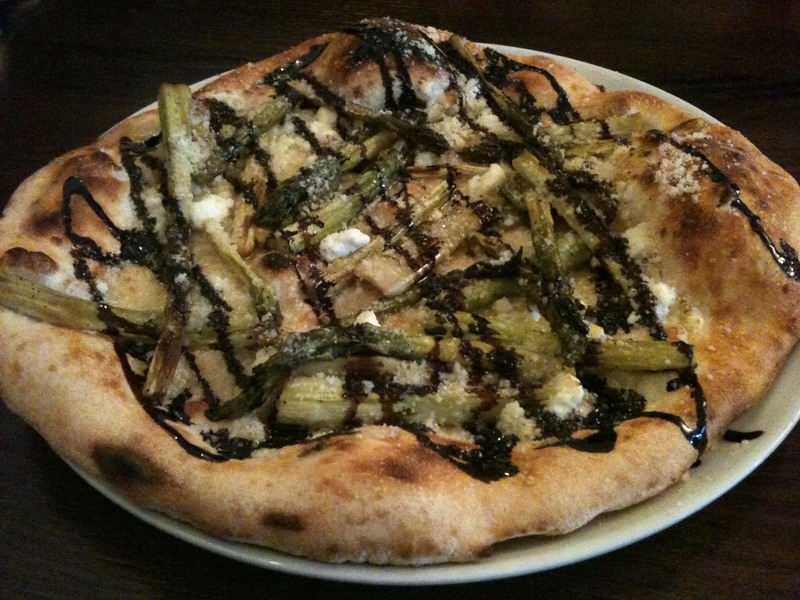 CAMPAGNOLO: My first real “Napolitan” experience in Vancouver, and still on the go-to list. 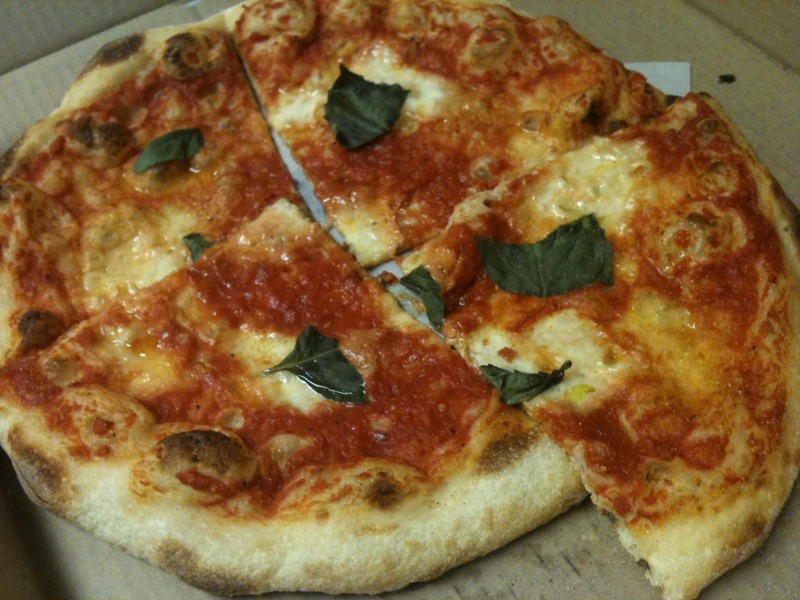 Their margherita is good but I’ve only had it once as they have others that are better. Chewy crust –(sometimes undercooked & lacking crispness)+ flavourful dough(!) + nicely balanced tomato sauce – chintzy on the cheese & other toppings = A good dish to order to compliment their wonderful pastas and must order ceci starter. 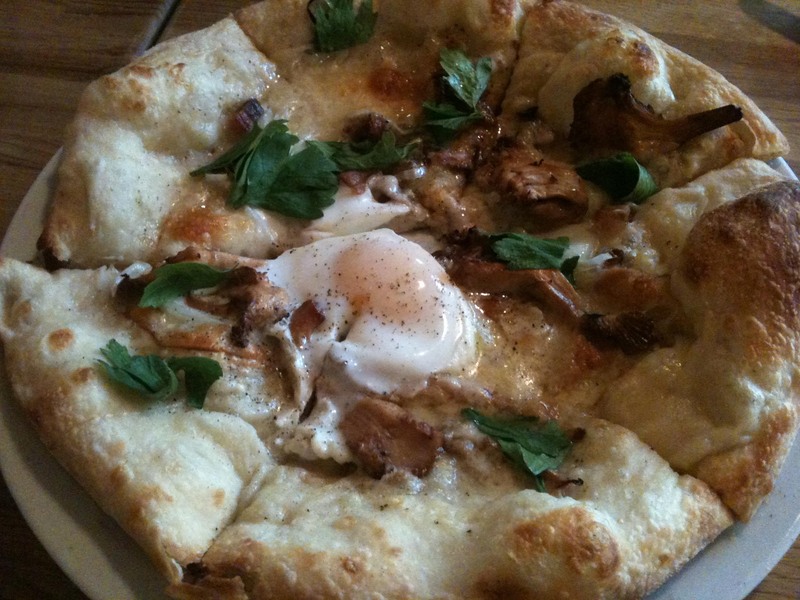 No photo of the Margherita, but this Funghi pizza topped with an egg has turned into one of my most craved brunch items. 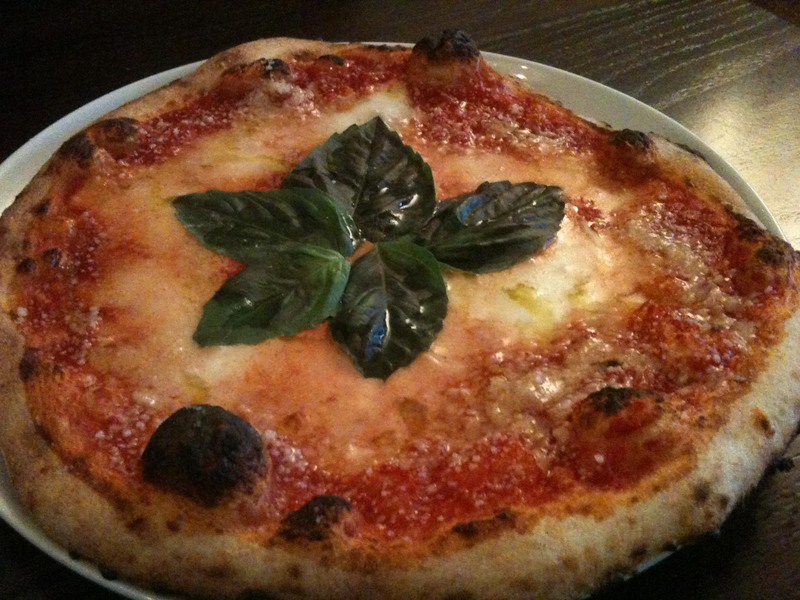 VERACE: The Margherita was decent but I really enjoyed their contemporary Bianca. On my first visit, I was underwhelmed by my experience. On my second I left with much better feelings, which is why sometimes, you need to give places a second chance. Aspargi e tartufo – what I liked most about this was that the oil from the cheese soaked into the dough beneath and created crispy bits of seared deliciousness in the crust. NICLI: Billed as most people’s fav, I like their Margherita, but think it’s because of the extra flavour I impart by dousing it with the chili oil that they leave on the table. But because their other pizza’s are so great, Nicli is one of my top choices. Wonderfully crispy at the edges and chewy in the center crust + Very tomato-y sauce + nicely flavoured other toppings – lack of salt = One of my go-to Napoletana pizzerias that I’d happily recommend to others. 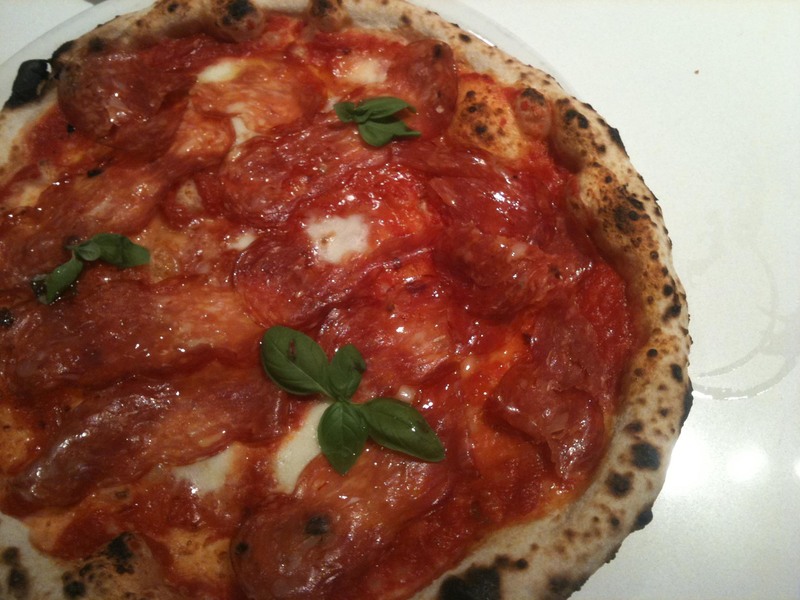 DIAVOLA – What the Margherita lacked in a bit of flavour is made up for with the addition of Sopressata. A very solid choice. 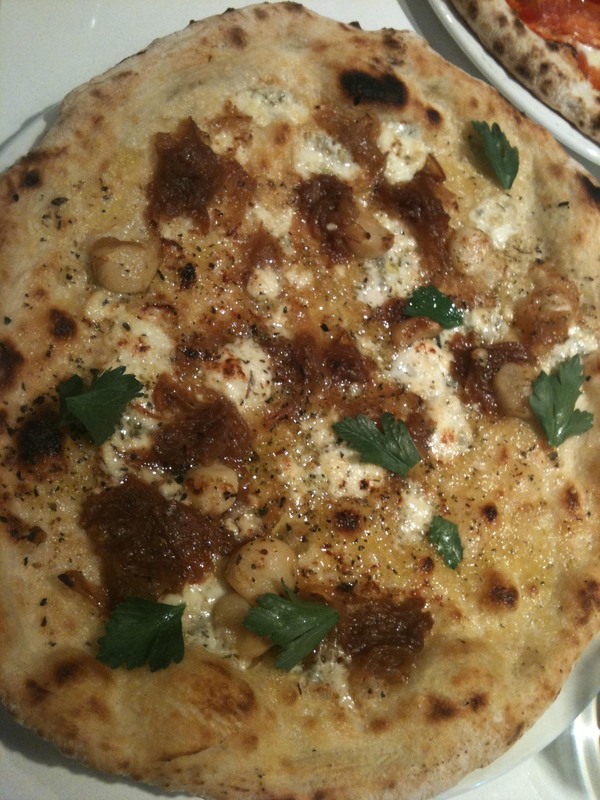 BIANCA – the pizza I keep returning for. Roasted onion and garlic and gorganzola cheese make for a robust flavour combination that continues to satisy the cravings I get for it every month or so. CAMPAGNOLO ROMA: They’ve taken all the strong points of Campagnolo and made them even better at this fantastic restaurant that I’ve eaten some of my favourite meals at in the past 6 months. They’re making really good pizzas without fancy brick ovens or wood fire. It’s the kind of place I only recommend to good friends because it’s a real gem that I love to be able to get a table easily at. Dough with flavour + cooked to perfection crust + great use of fantastic ingredients + real care of the chef = My favourite pizza in Vancouver!